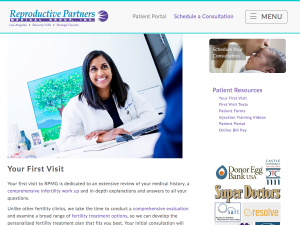 After 6 years of excellent results, time has come to redesign the Reproductive Partners Medical Group website. With a focus on mobile users, which make up a majority of visitors, we worked to increase visual impact and arrange the in-depth content to be more digestible and less intimidating. 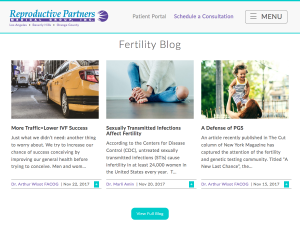 This patient acquisition system includes SalesForce WebToLead integration, an active blog with two physician/writers and a Fertility Forum that attracts thousands of prospective patients each month.